Party Dates for the next few weeks are nearly sold out - book today to avoid disappointment! This is a fun-filled birthday party magic show filled with effects designed just for your child's celebration. 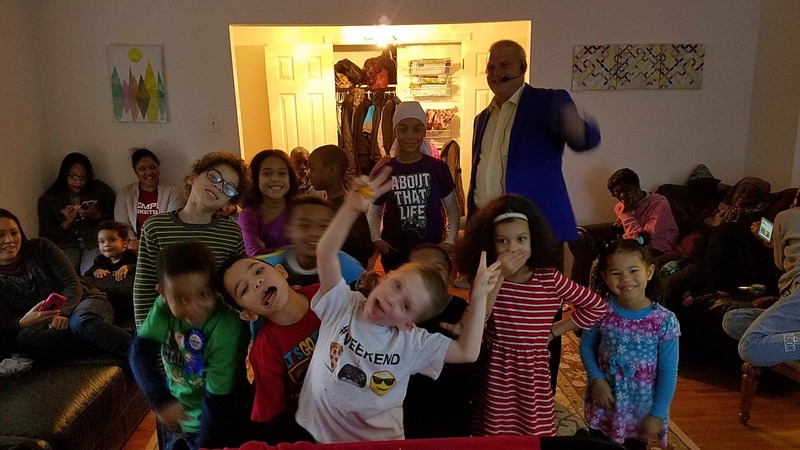 No matter how big or small your event happens to be: the birthday child will the star of the show; and all of the other kids will be laughing, applauding, and having a great and memorable time. The DZ Magic birthday magic show is filled with audience interaction, giggles, amusement and amazement. This show is ideal for girls and boys ages 4-13. What about Balloons or Face Painting? Balloon sculptures and face-painting are now available! Basic 1-balloon sculptures (dogs, swords, hearts) can be added to any package for a very low cost. This adds about 1 minute per child to the show length and is priced accordingly. Basic face-painting can also be added at a very low lost. This adds about 1 minute per child to the show length and is priced accordingly. More popularly, multi-balloon sculptures & more detailed, larger face-painting are available as stand-alone options or as an after-show special treat. These can take several minutes each. There are several questions that often come up when we are contacted about a performance for children, such as a kid’s birthday party. Many of the same apply to Camp, DayCare, or School shows in the Philly Suburbs. A:Simple, as the party organizer you need to do very little! We will need the space, time and details of of show venue. We'll do the rest. We can help in other areas as well, such as providing a themed decorated cake and goodie bags. In addition, we can also do balloon sculptures and even offer magical games (with prizes). A: Setup is a fairly quick process, which takes about 5 minutesr. Ideally, children would be kept in a different area than the magician while they are setting up props and equipment.This keeps all the surprises and secrets hidden which maximizes their impact later, during the show. Packing up afterwards also takes less than 5 minutes. A: As part of some packages, a goodie-bag filled with magic tricks and an activity booklet is available. For the party planner, this takes one task off of their already full plate. 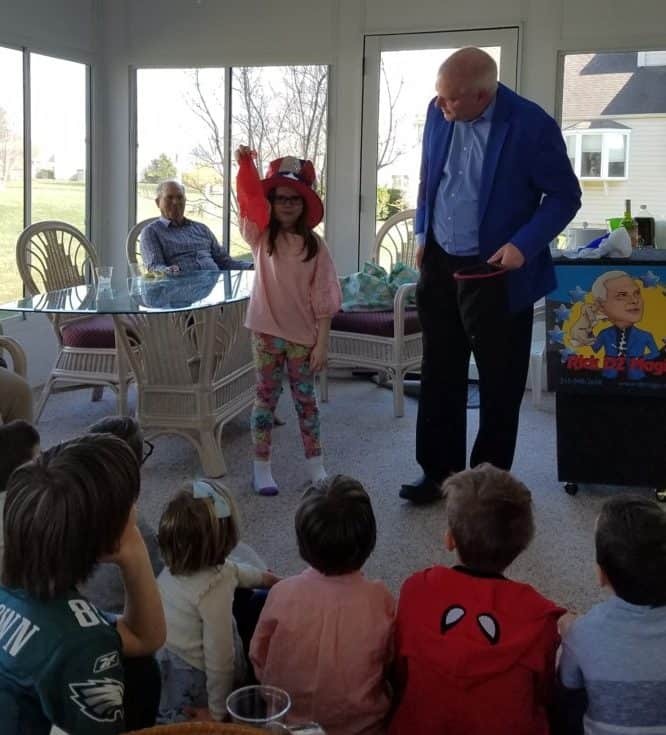 The give-away is magic-oriented, which mean that the the party doesn't end with the performance - the children will have magic tricks & illusions they can learn and show to their family and friends. We offer several different show packages (which are the best deals) and can customize for the specific needs of the event. For more details on Birthday Party Packages, please see our Birthday Party Package Site. In Short, we offer a 30 minute+ show or a 45 minute+ show. Balloon sculptures and an illusion where the birthday child appears to float in mid-air are included or available as options for birthday party show packages.